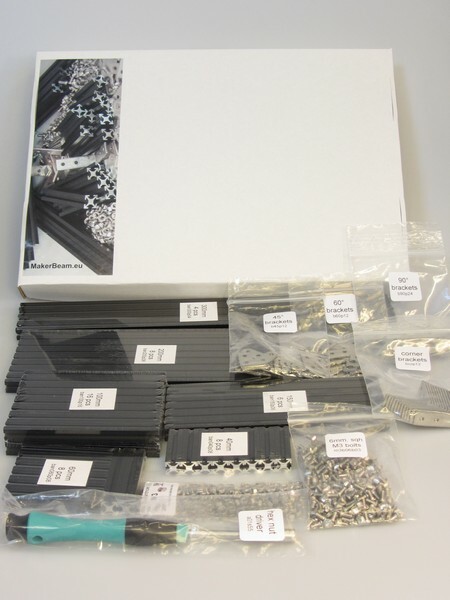 We improved the content of the MakerBeam starter kit! 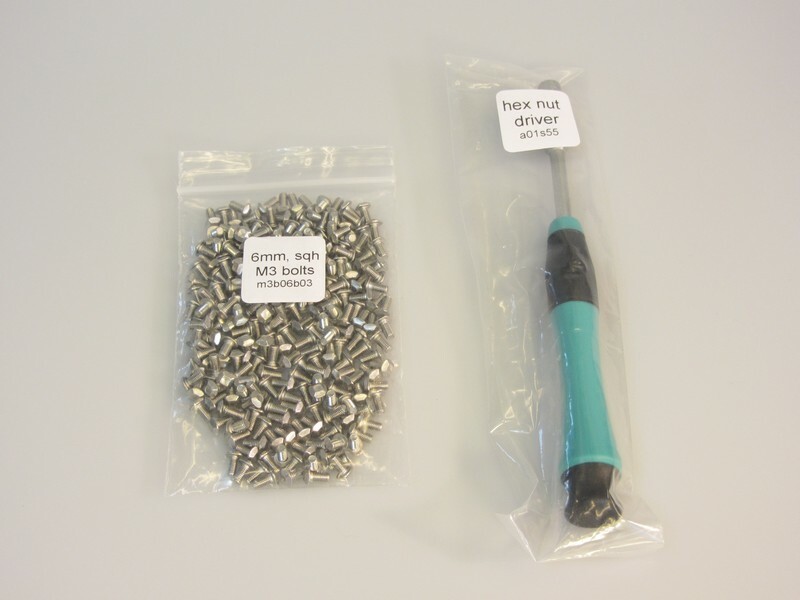 First, we decided to add a hex nut driver to every starter kit as a standard part of the kit. We feel with this the starter kit is a more complete product. The hex nut drivers we had were very expensive (wiha pico finish) or less effective (the small hex nut drivers). Now we have the best of both worlds with the our new hex nut drivers. One MakerBeam hex nut driver will be added to every starter kit from now. Important to mention is that the price of the starter kit remains the same! The other improvement we made concerns the bolts. There was a blog post about new bolts recently. 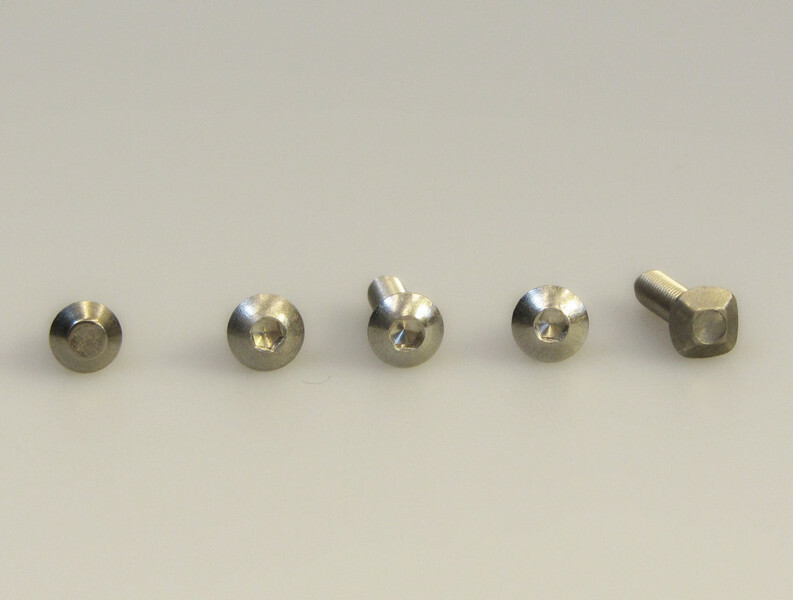 In that post we blogged about having received samples of square headed screws. We thought it would take a while before we would receive bags of this type of chamfered square headed bolts. To our surprise we have them here already! 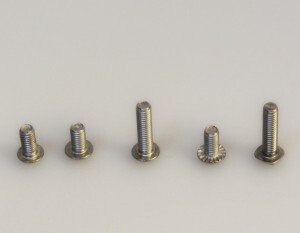 From now on you can find a bag (+/-250pcs) of these bolts in every starter kit instead of the ‘old’ 6mm bolts. The screws with the serrated head bottom will be on sale for a while to come. In our opinion the square headed screws are the better option for our starter kit. We had good reviews about the serrated type screws, but the square-headed screws will end any occurrence or suspicion of occurrence of problems with tightening once and for all. Soon to come is a leaflet we are working on. We are also working on new products (brackets for bearings for example) and there is more to come …. Sam Putnam was the one who came up with the idea of MakerBeam. You can find his story on Kickstarter. He thought of all the measurements, bracket types, quantities etc. and had the first batch made. Johan here thought it was a very good product. He backed Sam his Kickstarter campaign. Unfortunately Sam did not take his idea further. The next step, a website: makerbeam.com, remained ‘under construction’ for about three years. In 2011 we created the webshop makerbeam.eu and made makerbeam available here in Europe. We are happy to announce that MakerBeam.com is officially in our hands. It is no longer under construction and redirects to makerbeam.eu. We innovated the beams and we are planning to innovate the website as well. MakerBeam.eu will pretty much stay as it is. 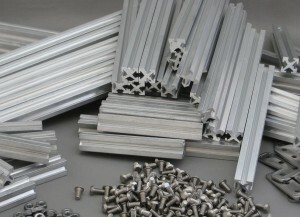 We will renew our webshop on the Makerbeam.com address. So… we will try to avoid it but maybe you will stumble on an ‘under construction’ notice on the .com website again this year. Sorry!!! This blog post could as well be called ‘Buttons to suit MakerBeam 5’. We had problems with our screws and that is what the other blog posts were about. The other posts date from October 2011, December 2011, January 2012 and June 2012. Now we are testing a new bolt and there is another type of bolt in the making. The pictures above give an overview of history of MakerBeam with bolts. From left to right there is the original bolt, our own improvement, the 12mm version, the new screw with serrated head bottom and a sample of a square-headed screw. 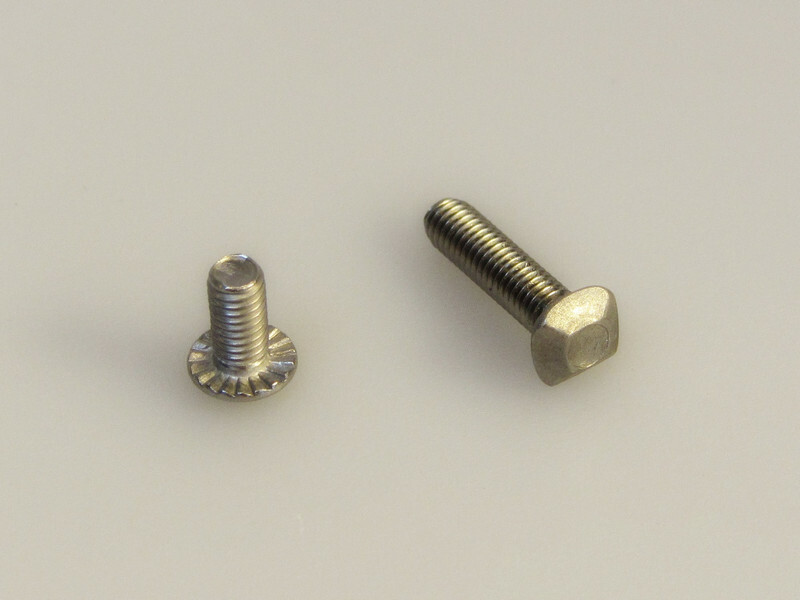 The picture to the left shows the original bolt 6mm length. We had hoped regular M3 screws would fit the Makerbeam profile. In the old version a regular bolt would rarely fit. This was in the back of our minds when we made our version 2.0 of the beams. Despite creating more room to accomodate the screws regular M3 screws still do not fit like we had hoped. The curvature is what hinders regular screws to fit. 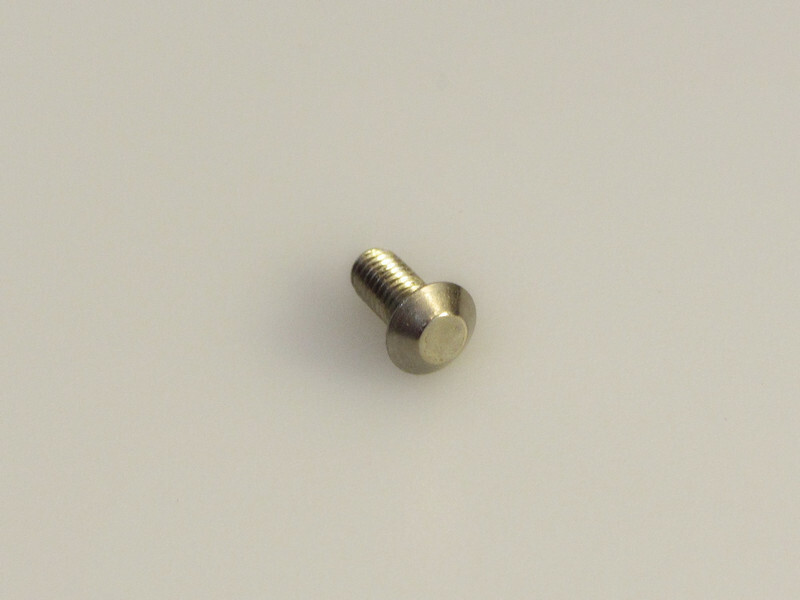 Otherwise the screws we sell are completely in line with the DIN standard 7380 (see ‘Buttons to suit MakerBeam 1). We thought that some purposes, like using bearings, needed longer screws. 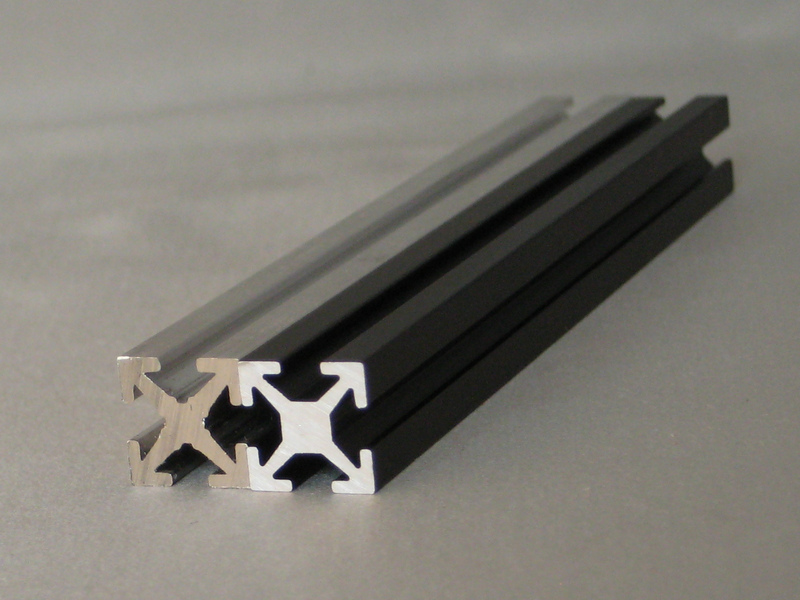 Since we continously look to improve our product we consequently had them made in 12mm length. The picture above on the right shows the 6mm and the 12mm length. Already then we were looking for other options to optimize grip. We thought of using washers. This idea was dismissed, too much of a hassle. Just when we thought we could not improve on the screw there was the suggestion of using bolts with a serrated head bottom, see picture above on the left. The serration gives the bolts a little more gripping quality. These serrated screws are available now. A bag with about a 100 pieces will be added to every starter kit to test them. Another screw we are looking at is square-headed. Since using regular screws still is not much of an option we can set our goal differently: total grip all of the time. We received unpolished samples of square-headed screws that are chamfered a bit. Grip is absolutely secured using these screws. A sample is pictured above on the right. They have a downside though. They damage the surface a bit. 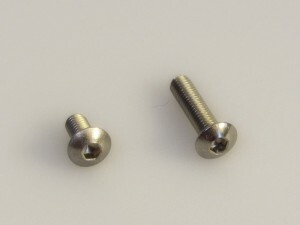 Despite this downside we are thinking of these screws as the replacement of the screws we currently sell. Occasionally we receive a message from a customer telling us that sometimes tightening a screw is not possible. Tightening is not a common problem, but still these square-headed screws will end any occurrence once and for all. Do not think we are done once the square-head bolts are for sale. Still on our wish list is a screw with a rectangular screw head. Think of a screw head with wings. A rectangular screw head will will give the possibility to add screws midway. You can insert the screw midway of a beam and turn it 90 degrees to ensure tightening. This will make it easier to add screws to an almost finished structure.